"Some of us, mon cher, see beauty in curious places." 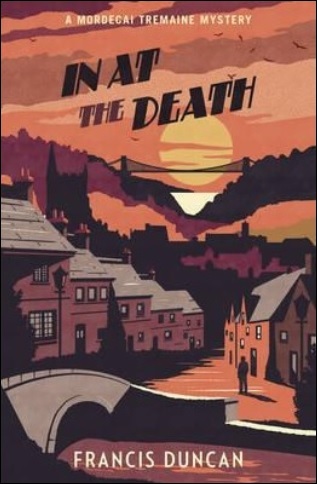 Last month, I reviewed In at the Death (1952) by "Francis Duncan," the penname of William Underhill, which was one of his last detective novels that was recently pulled from literary limbo by Random House – where it languished for over half a century. So far, under their Vintage label, five of Duncan's mysteries have been salvaged and were reissued beautifully illustrated book-covers. Well, I found In at the Death good enough to warrant further investigation into Duncan's work and one title, in particular, beckoned my attention: So Pretty a Problem (1950). Surprisingly, the book revealed itself as a full-fledged impossible crime story that was completely overlooked by Robert Adey in Locked Room Murders (1991). I realize this may not sound very convincing to regular readers of this blog, but I was unaware of the books' status as a locked room mystery and it was not what initially attracted my attention – which was the pretty color-scheme of the front-cover, I swear! However, it did make me like this particular title and its author even more. So Pretty a Problem finds Mordecai Tremaine holidaying in the coastal town of Falsporth, Cornwall. Tremaine is a retired tobacconist, a sentimental reader of Romantic Stories and an amateur criminologist with a tailing reputation as a murder-magnat, but he has promised his friend, Chief Inspector Jonathan Boyce, not "to become involved with yet another body." As to be expected, this promise was doomed to end in a bloody and violent death. Tremaine was on the beach, taking a peaceful catnap in a deck-chair, when a woman approached him and uttered these startling words: "Please. Come quickly. Please. I've killed my husband." The woman in question is Helen Carthallow, wife of the now late Adrian Carthallow, who was the enfant terrible of the artistic world and used his widely varied talents with the paintbrush to stir up controversy – earning him a number of enemies. But the one who ended up shooting him was his wife. However, she claimed "it was an accident." They were joking around and Adrian gave her his firearm, but she had no idea it was loaded and the gun went off. Or so she says. 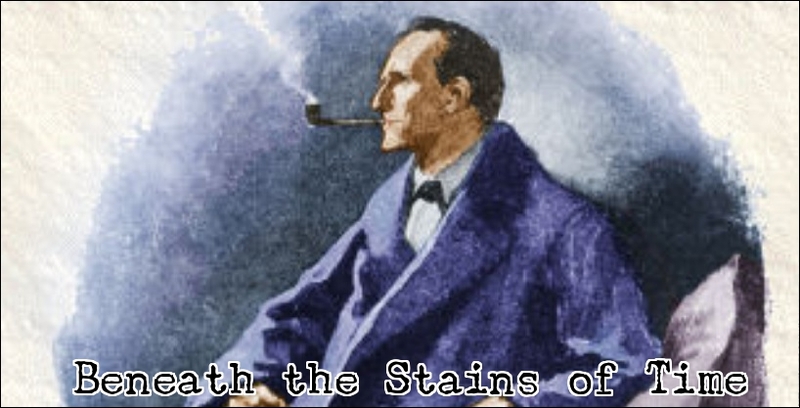 Inspector Penross and Tremaine immediately notice several inconsistencies in her statement and the crime-scene poses a number of questions: who defaced an unfinished portrait by heavily smearing it with paint? Who moved the writing desk to the middle of the room and why? Why were medical forceps and sunglasses present at the scene of the crime? Why did Helen mutter, "there's no one here," when she and Tremaine reached the top of the stairs leading to the Carthallow house? On top of these questions, the medical evidence does not preclude suicide! So, either the shooting was a premeditated murder or Helen tried to make a suicide look like an accident to secure his life insurance, which came with the usual suicide clause, because the involvement of a third party seems all but impossible. The house where the shooting took place, called Paradise, stands "on a headland that's broken away from the main cliff" and "can only be reached by an iron bridge." It reminded Tremaine of a medieval stronghold and when the tide was full water swept under the bridge itself, which turned the whole place into an island and completed "the illusion of a moated caste" - even having a (sort of) watchful guard for the bridge. A sick, bedroom-bound woman, named Matilda Vickery, who has a clear view from her window ("my spyglass") of the cliffs, the winding path and the bridge. Matilda can see everyone who goes across that bridge and she was having a painful episode on the day of the murder, which kept her awake, but the handful of people she saw could all be accounted for. So the death of the artist is either a domestic tragedy, whether it is murder or suicide, or they are faced with an impossible crime! However, here's where Duncan made a stylistic mistake in the telling of the story. 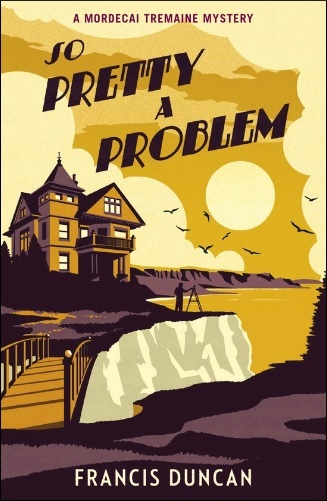 So Pretty a Problem is divided into three sections and the first part, "Quary: At the Time of the Corpse," tells how Tremaine was roused from his deck-chair and plunged into a murder investigation. It makes the reader genuinely curious about how this crime was accomplished. But, after roughly sixty pages, the second part, "Background: Before the Corpse," takes a lengthy detour into the past. A one-hundred page flashback detailing how Tremaine came into contact with the famous painter, fleshing out the character of the victim and showing some of his artistic shenanigans – like "the Christine Neale affair" and "the controversy over The Triumphal March of the Nations." Duncan was a good writer with a pleasant, intelligent writing-style, which made the middle section not exactly a chore to read, but this portion should have preceded the discovery of the murder. After the opening chapters, you want to get on with the book as a detective story and not be thrown into a character study. So, not a mortal sin, but something you should keep in mind when you pick this one up. In the last part of the book, "Exposition: Following the Corpse," the red herrings are separated from the genuine clues and questions from the opening chapters are being answered, which show that the crime was, indeed, a locked room murder. The explanation nicely fitted the scene of the crime and was, while relatively simple, a solid and not an entirely unoriginal example of the form. What I particular liked was the motive for this subterfuge: the murderer was aware of the fact that the sick woman, at the window, could see who was crossing the bridge. So this person had to do some trickery to remain unseen. Somehow, I managed to overlook a prominent clue to the second-half of the trick. I had to thumb back into the book to see if it was actually mentioned. Yes, there it was for all to see. But I simply did not notice it. The locked room trick is not in the same league as the best by the likes of John Dickson Carr or Edward D. Hoch, but, as said before, not a bad one and rather liked it. And the fact that I did not expect a locked room added to the enjoyment. Anyway, Duncan also did a fine job in explaining the other plot-threads, which revealed the events surrounding the murder were heavily influenced by the Merrivalean "blinkin' awful cussedness of things in general." A potentially perfect murder torn asunder by the unpredictable machinations of the heart. The solution is only marred by the somewhat vague motive of the killer, but that's only a minor complaint. Regardless of some minor imperfections and smudges, I found So Pretty a Problem an enjoyable and fairly cleverly constructed detective novel, which had a genuinely interesting and baffling premise. But as good and enjoyable as this well-written mystery novel is its detective-character, Mordecai Tremaine. A gentle soul who loves romance stories, young lovers, criminology and has a heart that yearns for mystery and possesses a lovely imagination. Several times, he allows his over-active imagination to venture "into realms where fantastic things might happen." As he imagines the time when smugglers used the caves in the cliff or envisioned the crime-scene as a medieval castle. He also has a great taste in art, as is shown when he visits the National Gallery, where "he was genuinely stirred by the clear lines of the Dutch school." Tremaine is one of the most warm and likable detectives from the (late) Golden Age period. So, I will definitely return to the other ones from this series in the (hopefully) not so distant future. Stay tuned! I didn't think anyone else out there had stumbled across these reprints. Good to read that you have enjoyed Mordecai as much as I have. I'm planning on a post on Mordecai Tremaine this month. I've read three of the books so far. I thought I'd give you some "sneak preview" recommendations for the remaining Duncan mystery novels. Behold a Fair Woman is probably the best of the lot with an intricately constructed plot and a somewhat tragic climax. The other, Murder Has a Motive, set in an amateur theater society, leans heavily on shock factor with a high body count and a truly bizarre motivation for all the deaths. So bizarre that the title is almost ironic. Thanks for the recommendations, John! I had a sneaking suspicion Behold a Fair Woman and Murder Has a Motive would turn out to be the most interesting of the lot. But good to know I still have some of the best to look forward to. I'll probably pick them up, somewhere, next month and save the Chrismas one for the end of this year. Which is third one you read? I've seen some of these titles in the second hand bookshops I frequent so I must get one! Also love the cover as well, I'm hoping to start a regular post called 'Crime By Design' which looks at the design of crime fiction over the years, this series would be a really good one to do. This series would be perfect for such a post. Not only are they beautiful cover illustrations, but they all have something in common. See if you can spot it. Just noticed that looking through the covers, a really nice idea. Does it link to the stories as well? It's just something the covers have in common, but still pretty nifty, I think.